The spring season of LEC is about to come to an end. G2 Esports have qualified for the final and now waits for the winner of one of the most anticipated games of the season, Fnatic vs Origin. The semifinal between the two will take place on April 13 in Rotterdam. While the finals will also be contested on the same stage on 14th. The samurai, G2 Esports defeated Origen 3-0 yesterday. An overwhelming result that confirms that Caps and company deserved to relax in the last phase of the regular season. In the last few weeks of the league, the French side was criticized by many for conceding defeats. They took things with ease after securing the first place. Nonetheless, by this dominating victory last night, they have silenced the critics. Meanwhile, Fnatic made its way to the semifinals after winning 3-1 against Splyce. They are now favorites of some analysts to win the Spring Split. 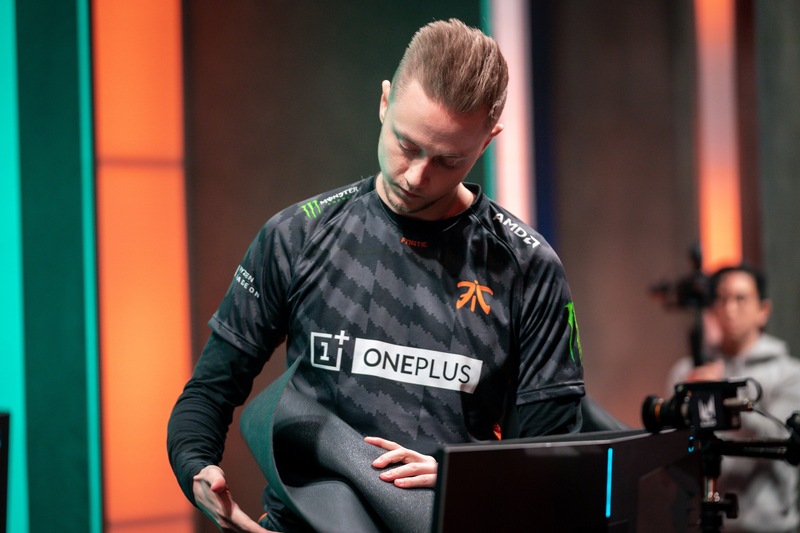 Perhaps, Fnatic was the only top tier team that struggled to adapt to the 2019 LEC. We believe that the had no one to blame but themselves since they lost the Worlds final to Invictus Gaming without challenging them. Then they started the season in the last spots of the LEC after losing Caps to G2. However, the season was long and Fnatic rose from the ashes to sneak into the last four spots and get a spot for the playoffs. Fnatic came to the semifinal game against Origen with a run of 9 games without dropping a single game. Splyce was the latest victim of the incredible form of Broxah and company, falling by 3-1 in the second round of the playoffs. For its part, Origin is considered to be the weakest team competing in Rotterdam. The team of xPeke lost 3-0 against G2 Esports in the game that elected the first finalist of the spring season. The samurai completely outplayed an Origin side that needs to evaluate their strategy before they come up against Fnatic on April 13. After the victory against Origen by 3-0, the ocelot team is just waiting for its rival in the great final of the LEC. Fnatic is the big favorite to dispute the title to the samurai. Yet, they still have to beat Origen, who finished second in the regular season. The matches will take place face-to-face in Rotterdam, Netherlands. The first match will be on April 13, in which Fnatic and Origen will fight for a place in the grand final. The next day, April 14, G2 Esports will compete for the LEC title in the last match of the split. We believe that Fnatic will not only win the semifinal but will also win against G2. Since the side has come a long way from the depths of LEC to the top 3. Their 9 games win streak will play a huge role in the game against Origen who was demolished by G2 last night.